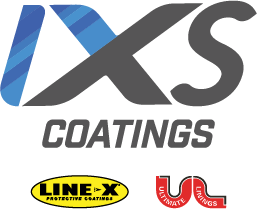 At IXS Coatings, a company comprised of the two best manufacturers of polyurea protective coatings — LINE-X and Ultimate Linings — we are dedicated to providing the most durable linings to every industry that can use them. Recently, Palfinger came to us with an idea for their mechanics truck bodies. They wanted to be able to protect both the inside and the outside of the truck bodies with a thin, extremely strong protective coating that was affordable and provided a great ROI for their customers. LINE-X was the perfect solution. LINE-X worked with Palfinger to develop and implement an application system that allows Palfinger to coat their truck bodies with LINE-X before they are sent to individual upfitters. By building LINE-X into their manufacturing process, Palfinger has been able to keep lead times short while providing unprecedented levels of customization. For many years, individuals and businesses have relied on LINE-X bed liners and protective coatings to keep their trucks safe from damage. The LINE-X formula is applied in thin layers to form a membrane that is scratch-, shock-, and stain-resistant. When it is applied by Palfinger, the material carries a three-year warranty against flaking, bubbling, and peeling, free of cost. To learn more about this new option, check out this article, or visit Palfinger directly. If you are interested in learning more about how IXS Coatings can help you offer your customers better protection, please contact us. We work with a wide variety of industries that demand reliable, repairable protective coatings. From the marine industry, to oil and gas applications, military contracting, and construction, IXS offers more ways to protect your equipment than anyone else.